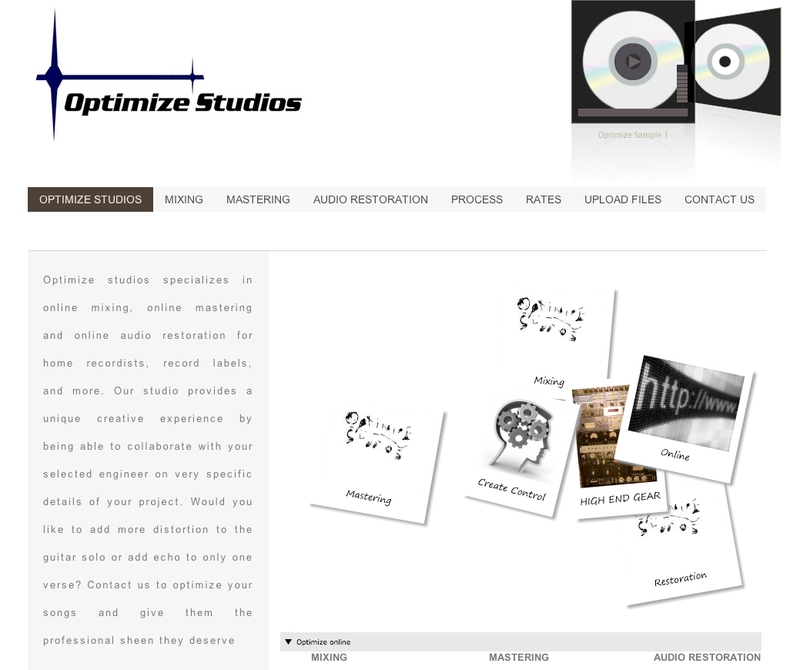 HindSite Interactive handles numerous web projects throughout the year. Every new project is exciting and rewarding; especially when it’s for a good cause. The Hindsite team recently worked on a website for an organization that is all about good causes. The organization is called Concept for Women & Children with HIV/AIDS. This project had to be completed within a certain time; 2 days! With the time constraint and to accommodate this projects limited budget, the HindSite team utilized the Easy WebContent Site Builder. Win a free website and work directly with a professional web designer at no cost. Sign-up for a Free Trial now. A couple months ago I knew I needed a professional website for my new business. After consulting a number of different developers I was approached with figures that were way above my price range. Some of the developers sent me drafts but was not impressed with what I saw. Ultimately, I wanted creative control and the ability to update my pages on my own free will. I searched the internet and found Easy Web Content. After signing up for the free trial I was immediately taken back by the ease and intuitive nature of the program. Not only did I have my website up and running within a couple of days but any questions or problems I encountered were addressed by the staff in a timely manner. I highly recommend Easy Web Content to any small business owner who wants complete creative control over their website at a very reasonable cost. After spending tons of dollars for college, countless hours trying to find internships and finding the time to make your resume perfect for the job market, wouldn’t it be nice to be able to actually land a job after college. Do you think that you have have exhausted all of your options? Well you haven’t! 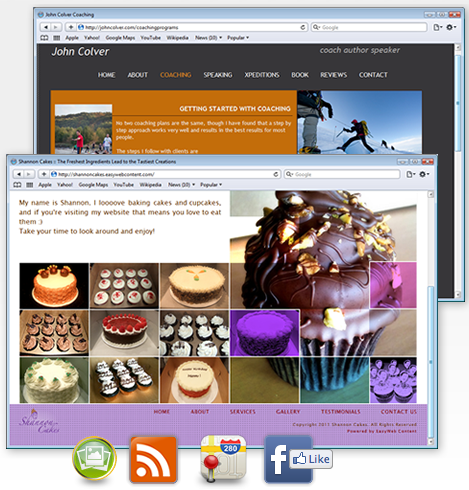 Did you ever consider creating a professional website? 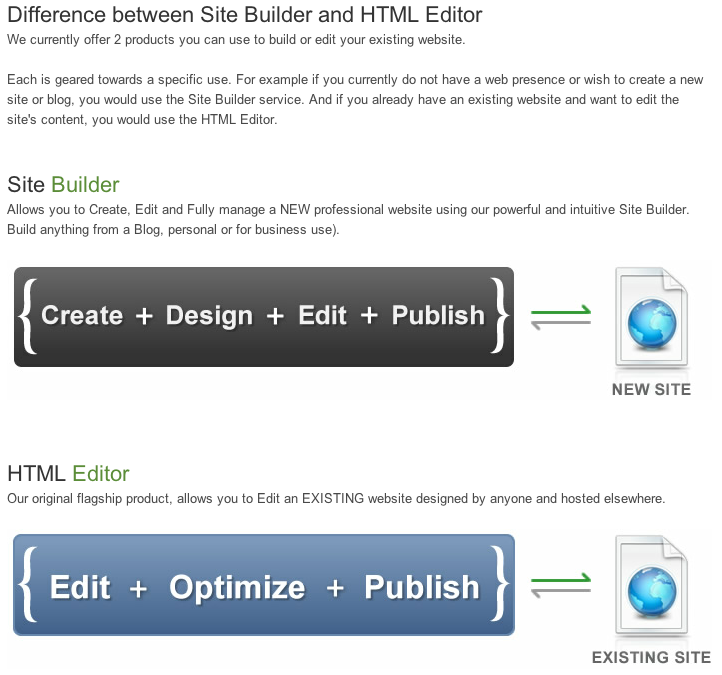 But not just any website, a professional website, my recommendation is the Easy WebContent Site Builder. Anyone can have a resume, but how many college graduates have a professional website. Having a professional website with the Easy WebContent Site Builder allows you to display your skills, accomplishments and future goals. It’s called “easy” for a reason!